List price is for one ring only. Purchase two rings for a matching set. 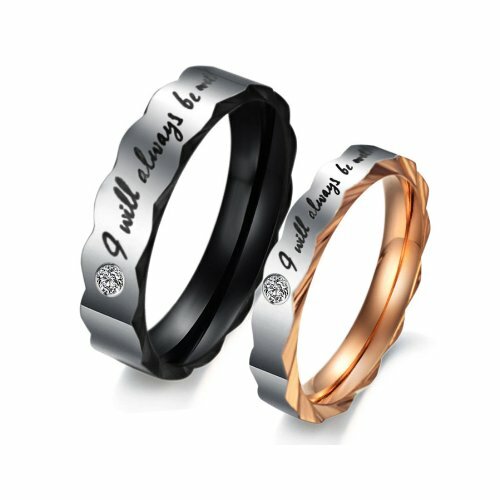 The ring is made of highest grade 316L stainless steel, oxidized casting finish with unique design. 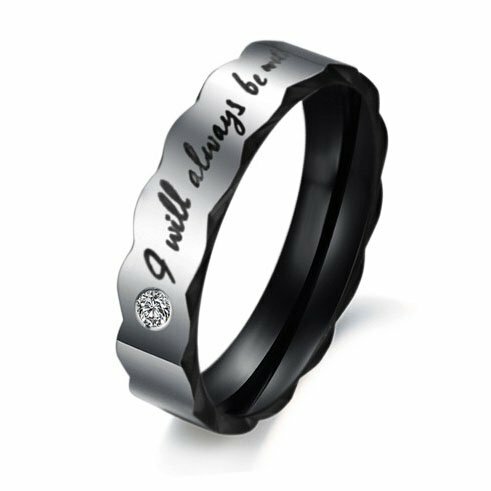 The stainless steel ring consists of the words "I Will Always Be with You" with a single cubic zirconia. 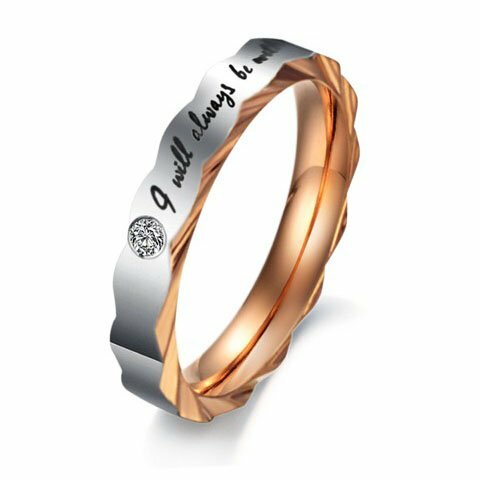 Wear it with peace of mind everyday. Stainless steel is hypoallergenic with high resistance to rust, corrosion, tarnishing and requires minimal maintenance in order to keep it looking like new. 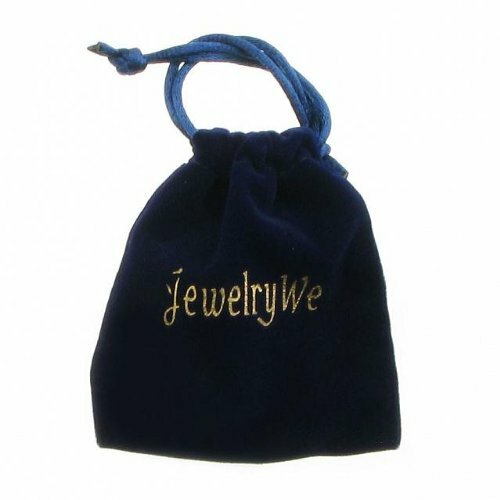 This product comes with a 7-day 100% money back guarantee and includes free packaging.